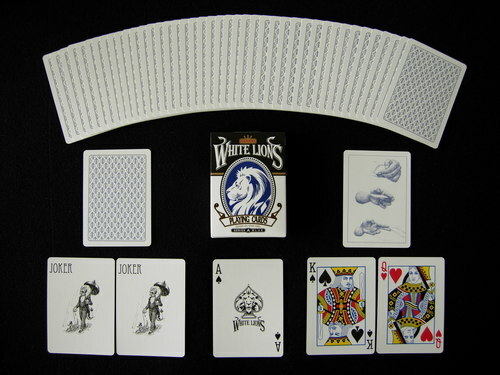 The White Lions are allegedly, like the others in the series, "specially designed and printed for David’s personal needs and was never intended to be released". Mark Stutzman is still the designer, and they feature a pattern of small Split Spades logos (db) on a white background with a white border. 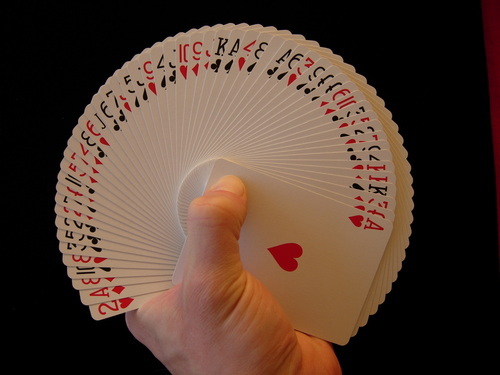 Most of the court cards have custom faces, most notably the King of Spades as David Blaine himself. There's also lots of hidden features and revelations built into the deck. 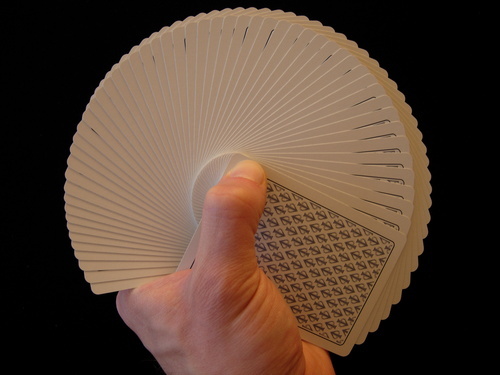 The cards come in the Tamariz stack with the Ace of Spades on the face. Comes with 2 custom Jokers, a custom Ace of Spades, a double backed gaff card and a card showing the technique of card throwing.